The cold season makes us crave for something warm and comforting. And most of the time, food does just that. So the next time you have the munchies, you can thank us for these. 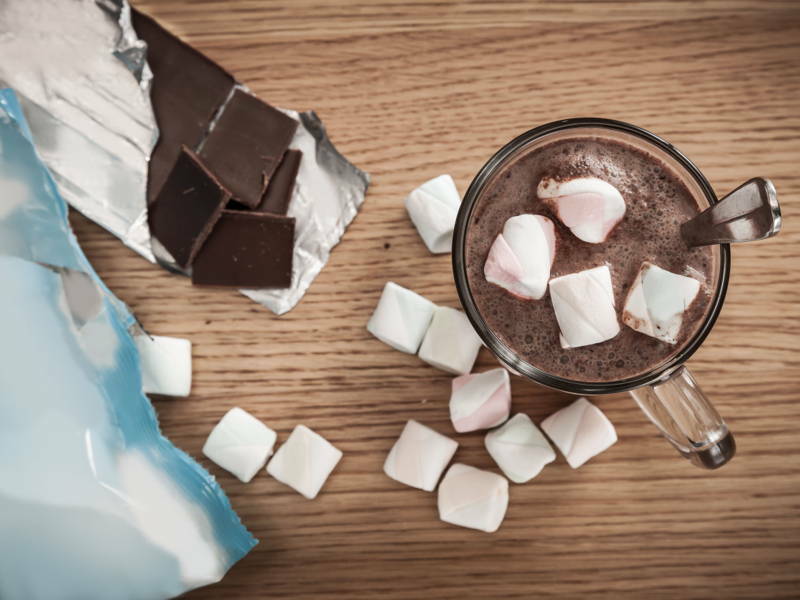 This hot chocolate cheat recipe can be made with ingredients you already have in your fridge. Heat milk in a small saucepan over medium-high heat until steaming (not boiling), stirring occasionally. Add in the Nutella and whisk until dissolved. Have it like that or finish off with your favourite toppings. 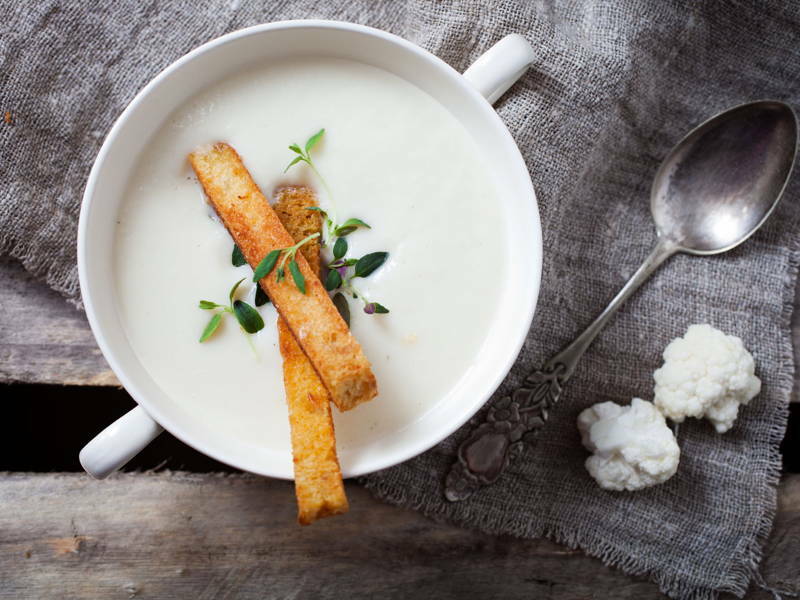 If you’re looking for a healthy and easy soup recipe, this hearty cauliflower soup is for you. Not only is it easy to make, it also requires very few ingredients. Heat 1 tablespoon of the oil in a saucepan over medium-high heat. Add the onion and cook, stirring, until soft, about 5 minutes. Add the cauliflower, broth, and milk and simmer until tender, about 15 minutes. Puree the soup in the pan using a handheld immersion blender or, working in batches, a standard blender. Stir in 1 ⅔ cups of the Cheddar, 1 teaspoon salt, and ¼ teaspoon pepper and voila, it’s ready to eat! This versatile dish can be altered to fit your taste, using whatever ingredient you have and believe it or not, this dish only takes 20 minutes from stove to plate! In a small bowl, whisk together soy sauce, oyster sauce, rice wine vinegar, brown sugar, ginger, garlic, sesame oil, cornstarch and set aside. Heat olive oil in a large skillet over medium high heat. 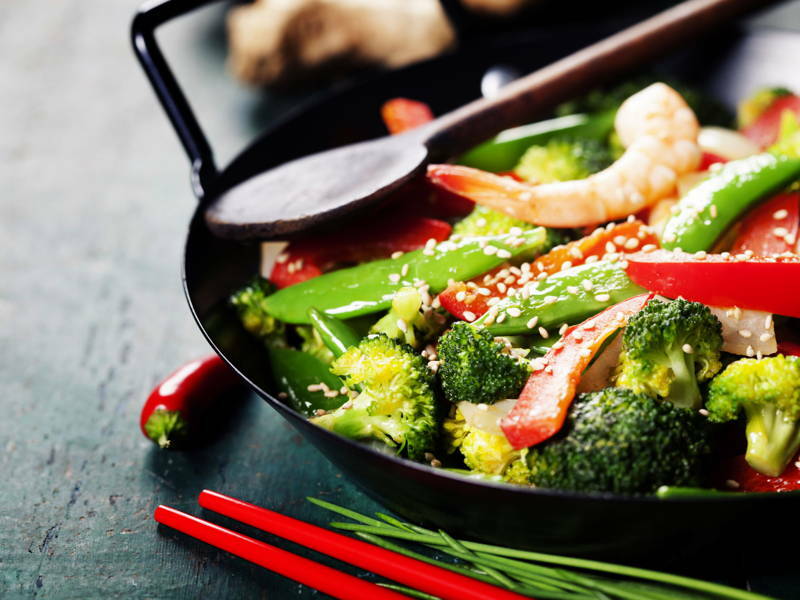 Add shrimp and stir fry, stirring occasionally until pink for about 2 – 3 minutes. Add broccoli, and cook, stirring frequently until tender for about 2-3 minutes. Stir in soy sauce mixture until well combined and slightly thickened, about 1-2 minutes. Serve immediately and garnish with sesame seeds and green onion, if desired.